The turning of the days and the tilt of our earth’s axis have brought us to winter with the solstice just days away. Literally meaning, "the sun-standing-still" as it reverses from shorter to longer days, winter solstice also finds us with an influx of birds to the Bay Area -- everything from white-crowned sparrows in the shrubs and yellow-rumped warblers in the trees to flocks of ducks and shorebirds at the Bay. It’s well-known that daylight length is an important migratory trigger, along with hormonal changes. How birds find their way to their destination, though, is an unfolding mystery. In 2000, research by Jon Hagstrum, a geophysicist at the U.S. Geological Survey in Menlo Park, found that before supersonic flights were discontinued, the infrasonic noise from Concorde jets could interfere with the ability of racing pigeons to find their way home. Infrasound occurs at low frequencies, below normal human hearing, at 20 Hz (cycles per second) or lower. Natural infrasound is generated by events such as earthquakes, pounding ocean waves, volcanoes and severe storms. Hagstrum’s paper was the first evidence beyond the laboratory that birds use infrasound to orient themselves. Another study just published in Current Biology states infrasound is also a cue for evacuation migration. 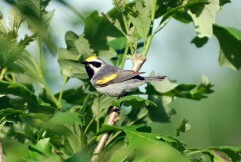 A research team in April 2014 led by ecologist Henry Streby at the University of California, Berkeley, was tracking a population of golden-winged warblers in the mountains of eastern Tennessee. They discovered that the birds left their breeding grounds and flew south to the Gulf of Mexico one to two days ahead of the arrival of powerful supercell storms. 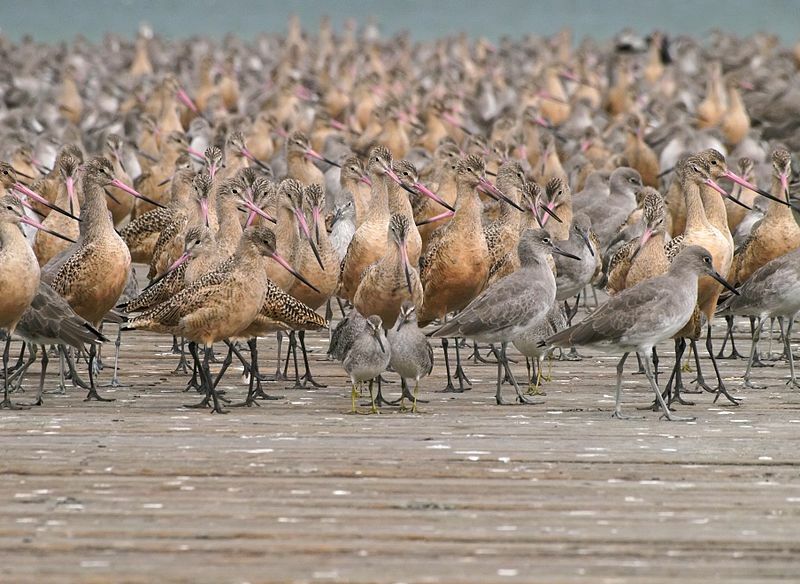 Their report related that when the birds made their exit, the storm was still 250-560 miles away, and local cues to inclement weather – changes in atmospheric pressure, temperature and wind speed – were largely absent. Infrasound seemed to be a logical explanation. "It is the first time we've documented this type of storm avoidance behavior in birds during breeding season," said Streby. 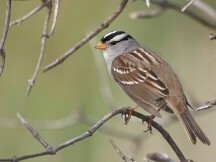 "We know that birds can alter their route to avoid things during regular migration, but it hadn't been shown until our study that they would leave once the migration is over and they'd established their breeding territory to escape severe weather," said Streby. "The warblers in our study flew at least 1,500 kilometers (932 miles) total to avoid a severe weather system. They then came right back home after the storm passed." Through this kind of research, we may learn more about environmental pressures that can affect species of concern such as the golden-winged warblers, as well as better understand the animals that share our world. As the winter solstice approaches, take a little time to appreciate nature and the diversity of wildlife around us: take a walk and enjoy the outdoors and the weather. Check out some naturalist-guided programs happening this weekend in the Regional Parks. You might even want to document the solstice by noting the length of daylight on the Journey North website and check out how long the day lasts in other parts of North America on December 21.